Club will take over the entire Scottish Events Campus in Glasgow over a July weekend. Celtic will host a three-day festival of "unprecedented celebration" at the Scottish Events Campus in Glasgow this summer. 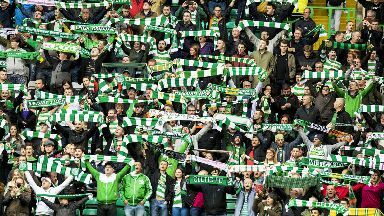 The Scottish champions say the inaugural Celtic FC Festival, which will take place from July 26 to July 28, will "raise the bar in fan engagement". The festival will take up all of the 20,000 sq m of available exhibition space the SEC has to offer and will host the launch of the 2019/2020 kit and activities such as football darts, free-kick practise and a crossbar challenge. Younger fans can train with professional coaches from the Celtic academy on a purpose-built football pitch. Fans will also be able to 'walk through' Celtic's 131-year history from 1888 until the present day. All the trophies they have won during that time will be on display, including the European Cup from 1967. In a Fanzone area, supporters will be able to enjoy refreshments while watching classic games from the past and singing along to Celtic songs. Celtic midfielder Callum McGregor said: "Our fans are everything to us and we are sure this festival in July will be something they will really enjoy. "It will be a unique experience and a chance for us all to celebrate all that is great about the club." Tickets can be purchased from Celticfcfestival.com.